Good luck trying to moderate this one. Ultimate Fighting Championship (UFC) will ask for your ear later today (Fri., Aug. 5, 2016) for a special UFC 202 media conference call, designed to build hype for the Nate Diaz vs. Conor McGregor rematch in the Aug. 20 pay-per-view (PPV) main event inside T-Mobile Arena in Las Vegas, Nevada. As if we needed any hype to sell this do-over. The pair first went to war at UFC 196 last March, with Diaz emerging triumphant by way of second-round submission (watch the full fight right here). 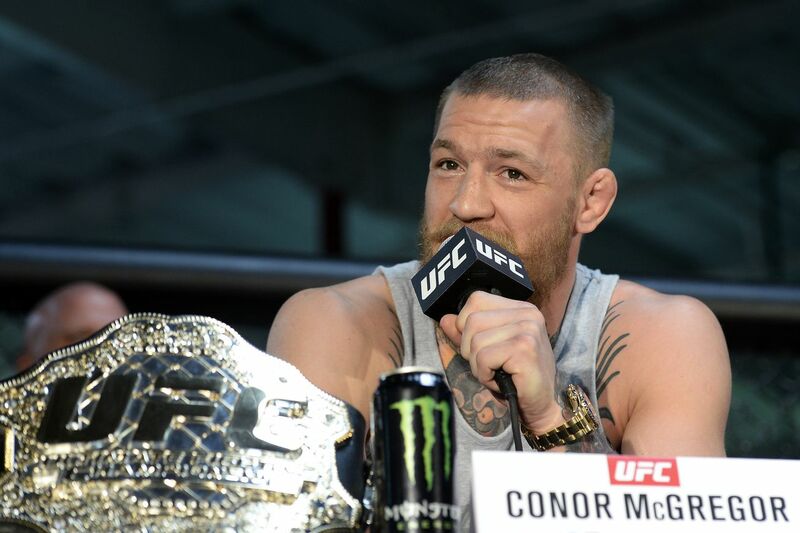 McGregor demanded the welterweight rematch and the promotion obliged, simply because “Notorious” moves the PPV needle. The live conference call audio stream begins promptly at 6 p.m. ET in the embedded audio player above, and to see who else is fighting at UFC 202 click here. For an extended video preview of “Diaz vs. McGregor 2” click here.